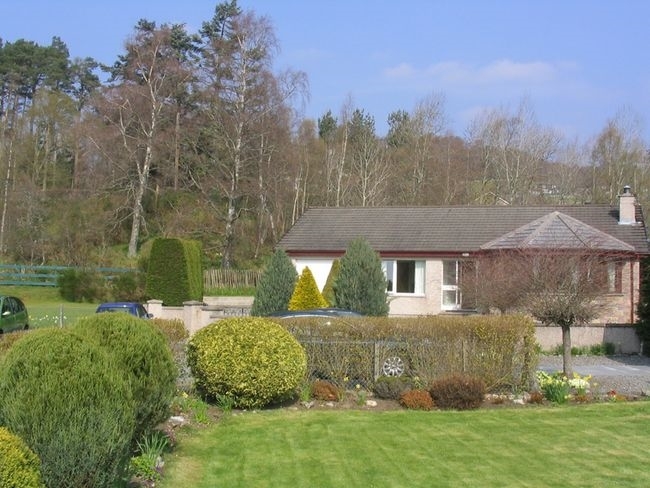 The detached bungalow is situated in a quiet cul-de-sac in the Highland village of Newtonmore within walking distance of the village amenities. With easy access to many places of interest including the fascinating Highland Folk Museum, Highland Wildlife Park and the Cairngorm Funicular Railway and an ideal attraction for families is the "Wildcat Experience", a very entertaining "treasure hunt". Outdoor pursuits available in the area include fishing on the world-famous River Spey, golf at some of the most picturesque courses and gentle walks or more strenuous hikes in the mountains. There really is something to suit everyone in this popular location. With ramp access to the front door, the accommodation offers THREE bedrooms: 1 double with walk-in shower, 1 further double and 1 twin. Bathroom: with shower over bath and WC. Lounge: with TV/DVD. Sun lounge with TV. Kitchen/diner: with TV cooker, microwave, fridge/freezer and washing machine. Outside: private garden. Amenities: Ample parking, 2 dogs welcome. Bed Linen and towels included. Regret no Smoking. Electric by meter. Location: shops, hotels within walking distance. Arrival: 4pm.